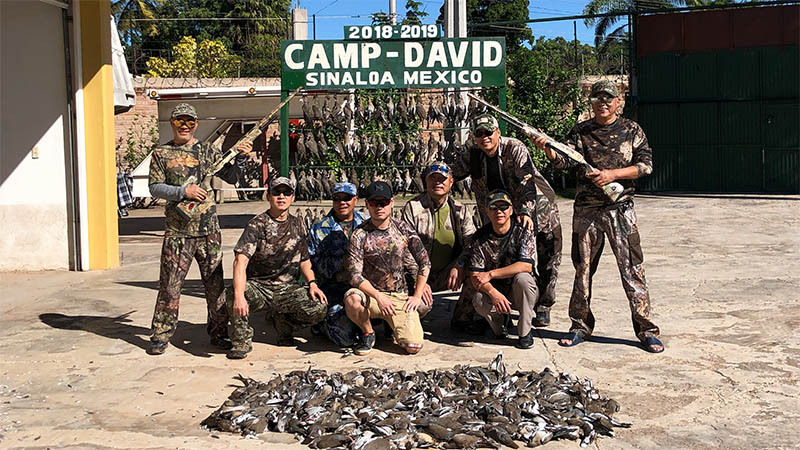 Bird Hunting Mexico – Dove or duck hunting in Mexico at its very finest! Click here to see our latest updates! The 2018-2019 hunting season is upon us now. The prices will remain the same as last year and the best hunting for ducks are in January and February. The best way to get a hold of me is by email at campdave99@gmail.com. Hunting has been great this year, and I still have openings for February, 2019! Getting Here is as easy as 1-2-3! First, fly or drive to San Diego. From there, Volaris Airlines flies direct into Los Mochis from Tijuana 5 times a week, so pick the days that allow you to fly direct. Volaris’ website is www.volaris.com for tickets or call toll free 1-855-865-2747. Look at the www.crossborderxpress.com website to walk 400 feet from the USA, right into the very modern Tijuana airport for ticketed passengers only. I’m proud to announce that the 2018-2019 season prices will be the same as the last FIVE years with no increases at all. The sesame is planted and growing in all the dove fields. I will have the very best duck marsh in the world this year with 25,000 acres exclusively for my hunters ONLY!! D/U said the duck population is up 30%. Remember this is where the migration ends and they all pile up here so come on down and get them. The majority of Mexico’s key tourism areas are not only safe, but safer than many other popular tourism areas. Click here to learn more! 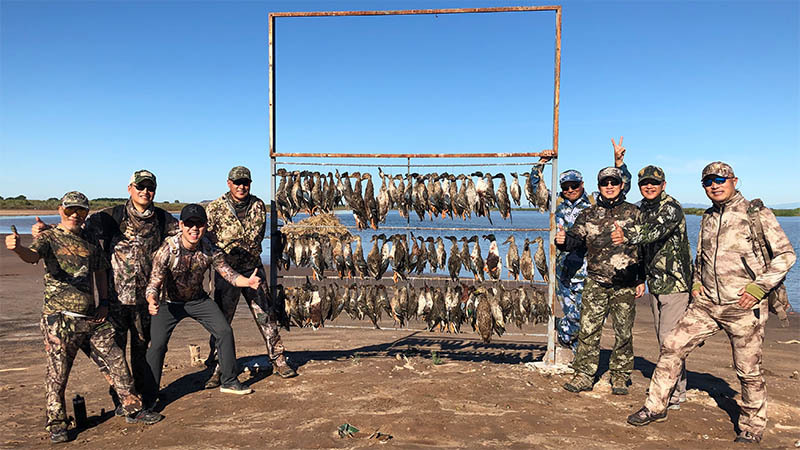 Bird Hunting Mexico offers Dove Hunting & Duck Hunting at its very best! The Los Mochis Ahome Area of Sinaloa , Mexico offers the best on the wing hunting you’ll ever experience. The finest in personal accommodations and services are provided by your host Dave Warner and his staff at Camp David-n-Mexico. Getting here has never been so easy and cheap! Fly to San Diego then see this website crossborderxpress.com. Then take Volaris airlines from Tijuana to Los Mochis, 7 days a week. Cost is about $250.00 dollars round trip from Tijuana to Los Mochis. You can buy all your tickets online. Simply email me at campdave99@gmail.com. if you have any questions! A word on the violence that goes on in Mexico and YOUR SAFETY. Here at Camp David in Ahome, you are as safe as you can be. We have no violence at all here in this small farming Villa or surrounding area. Don’t miss out on trip of a life time because of trouble at the border. It is, however, best to fly here to Los Mochis and just avoid the long bus trips through the border. Hope to see you soon! Click here for more information about your safety. Here’s more information, as well. The hunt you have always dreamed about when you were cold and wet in your blind waiting for ducks to fly in! This is the dream land of duck and dove hunting at its best: Camp David-n-Mexico. Camp David in Sinaloa Mexico is a once-in-a-lifetime treat. Like no other full-service on-the-wing hunting lodge you’ve ever seen. Enjoy some of the best Dove and Duck Hunting you will ever find in the beautiful atmosphere of Mexico while staying at our lodge and enjoying many of the comforts of home. 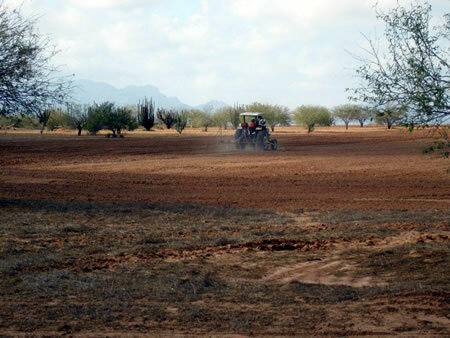 We personally maintain and visit our hunting fields on a daily basis. This allows us to provide hunts of the highest quality, in knowing where the game is at all times. We offer the only hunting LODGE in the area. No Hotel accommodations, just first-class meals, lodging and service. We do not cater more than 12 hunters as a time, and 10 or more, booked at once, take over the Lodge for a private hunt. This avoids the crowded hunts and crowded accommodations. We provide all licensing and guns here at the Lodge, therefore no lengthy paperwork. Just get on a plane and come on down! All large rooms with queen-size beds and private baths. All transfers to and from the fields, lodge and airport will be done personally in our new vans. Our service can’t be beat. If you hunt with us once, you’ll be booking for next season before you leave! Try this with the other outfitters!! You pay a $1000.00 deposit with me, then you pay the balance AFTER THE HUNT! If you can’t get them to do that you better WATCH OUT BIG TIME or you will end up unhappy with the outfitter holding your money and NO REFUND!! Contact us at 1-866-247-3464 for current Duck hunting prices.